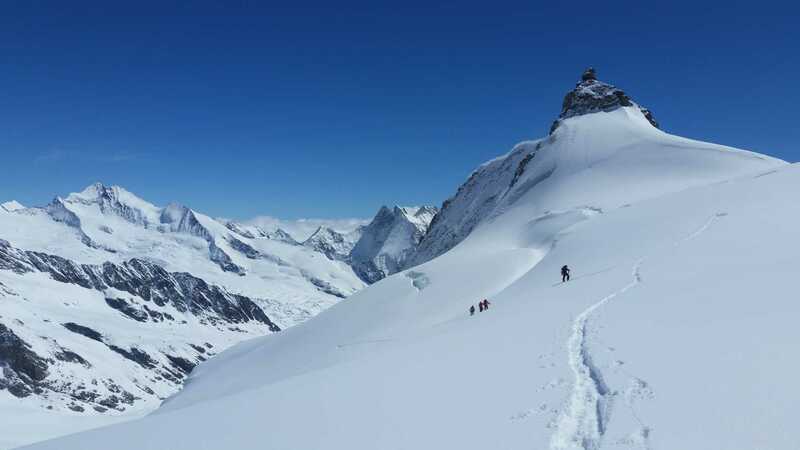 Exemple of a 6 days trip in Berner Oberland area. Meeting in Interlaken Ost in order catch the 6:30 train to the Jungfraujoch. It's a 2h train trip with a wonderful Scenery. 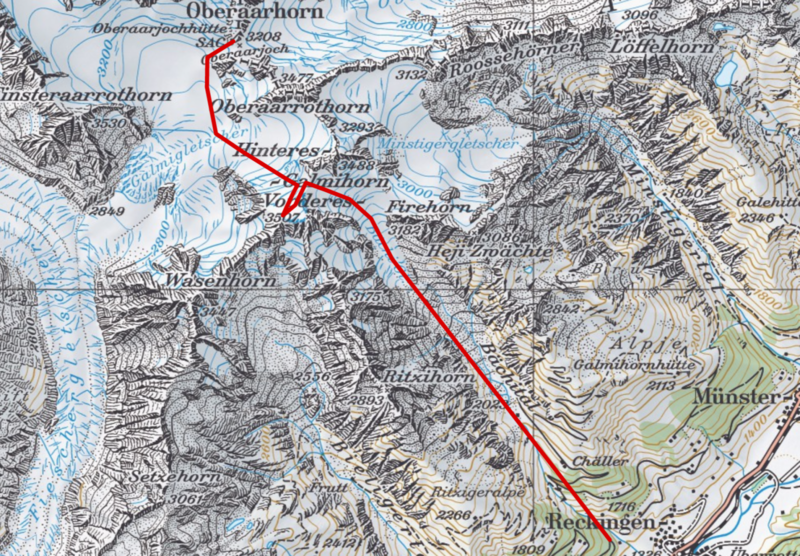 We go below big glaciers, inside the Eiger North Face and finally we arrive above the Jungfraufirn at 3572m. 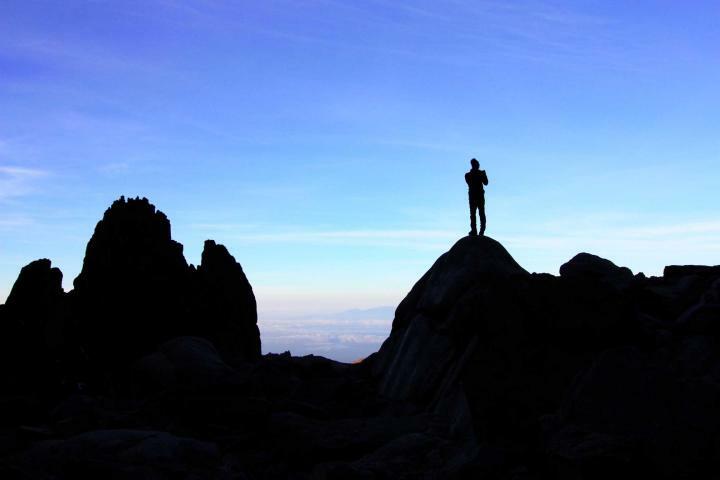 Once we arrive at the top we can spend some time to take a look at the view and drink a "Ovo". Then go down then up to the Louwihorn (3777m). Then we go down to Grosser Aletschfirn and finally go up to Hollandiahutte. 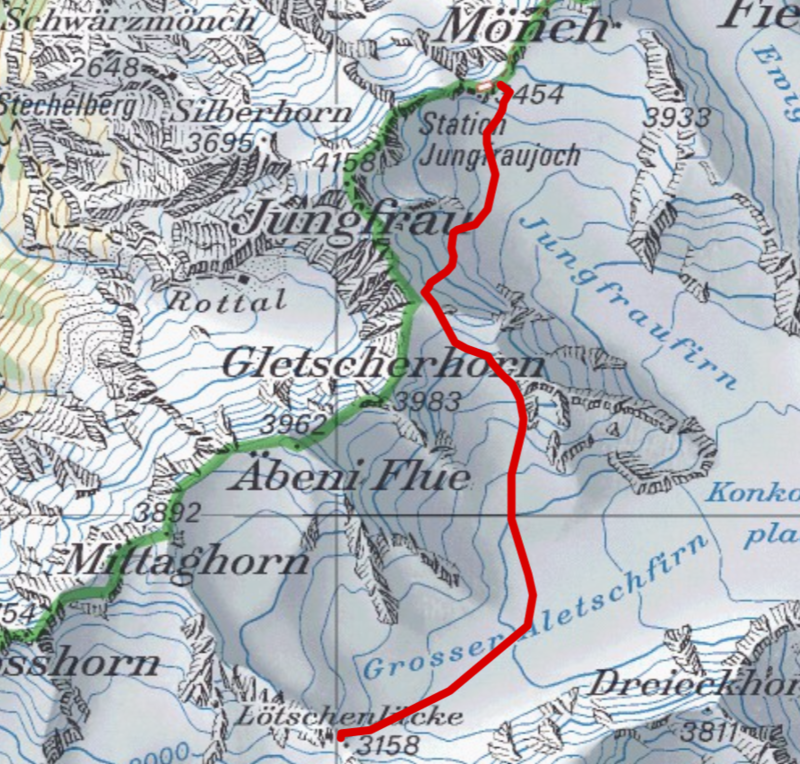 The 2 options go to the grosser Aletschfirn, then we follow the glacier until the Konkordiaplatz and we climb up 100m to go to the Konkordiahutte. 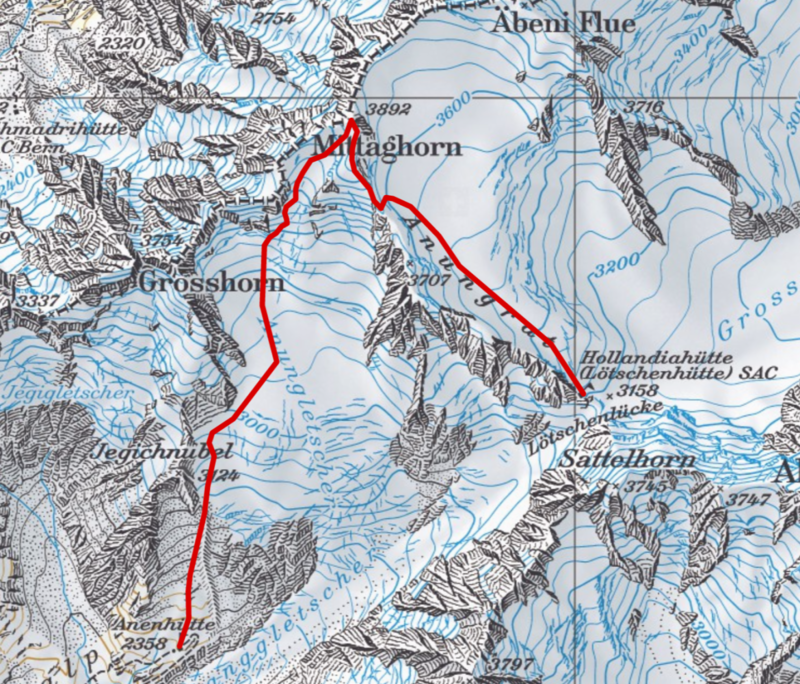 We go up to Grunhornlucke in order to go to Finsteraarhornhutte. 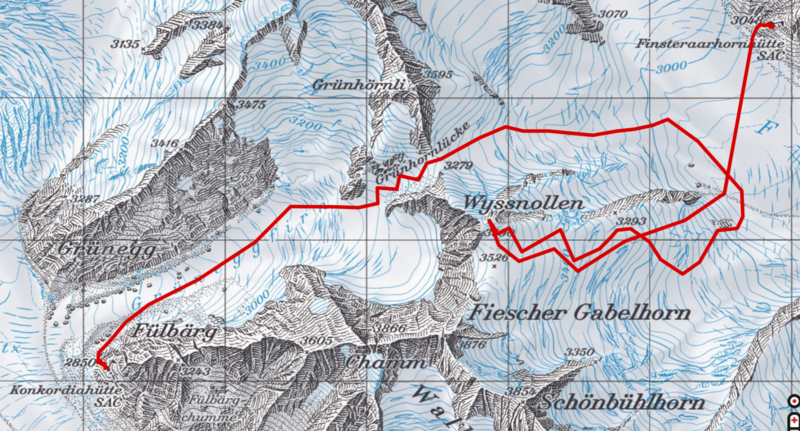 If we have enough time we will do a detour to the Wissnollen. It's the day with a light back pack! If the weather has been bad before, can also be an extra day to go back on the schedule. 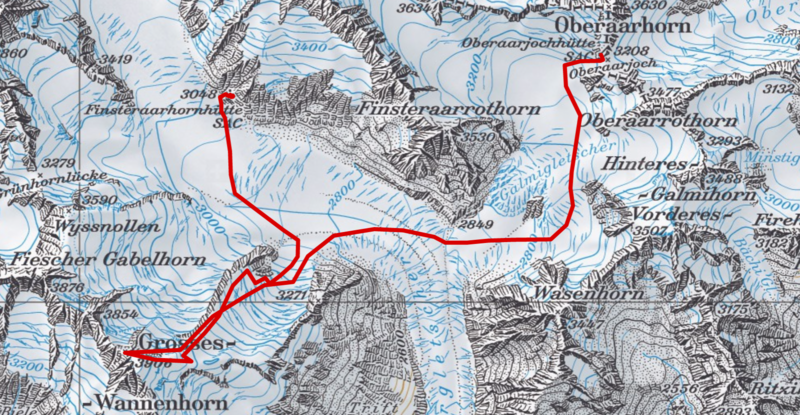 The Grosse Wannenhorn (3906m),wish is on the way to Oberaarjoch, is one the the best ski descent of the area. So we will do a short detour of 900m up to climb it. If the weather forecast is good we will go to the Bachlilike hearly in the morning, in horder to get good corn snow. 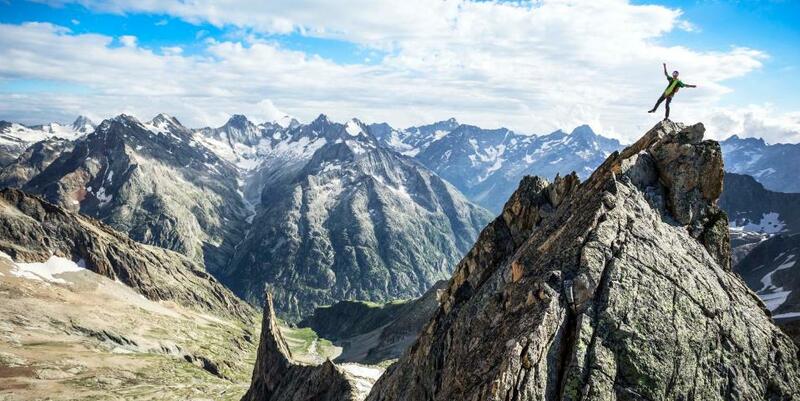 Otherwise you can escape through the Grimselpass. 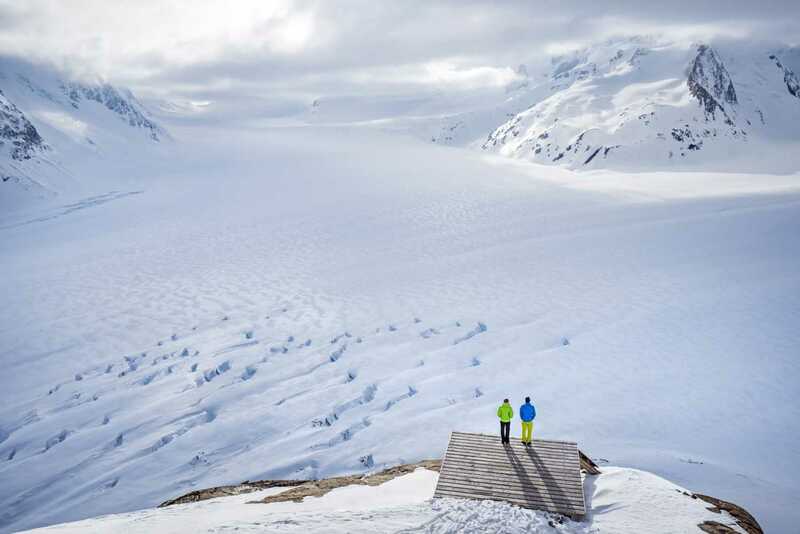 Be aware that there are many ski options in this area. 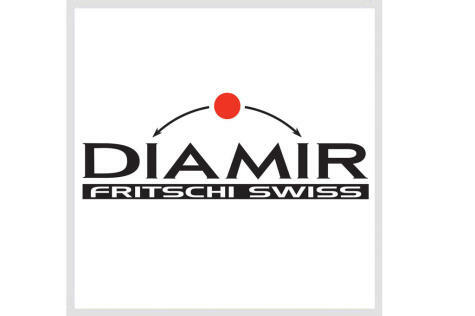 From very difficult to moderate level ski tour. 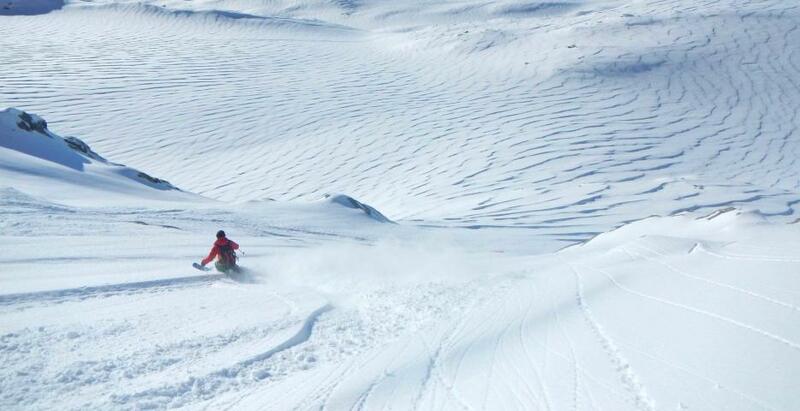 If you are looking for a specific ski tour please let me know.